The little 2002 holds a very special place in our hearts here at StanceWorks. As one of the important turning points that positioned BMW as a true driver's car, we owe a lot to the old Neue Klasse, so it seemed fitting for it to grace one of our art prints. This art work has been sitting in Andrew's archives since early 2015, but it has finally made its way to print and is now available in the Lowly Gentlemen store. 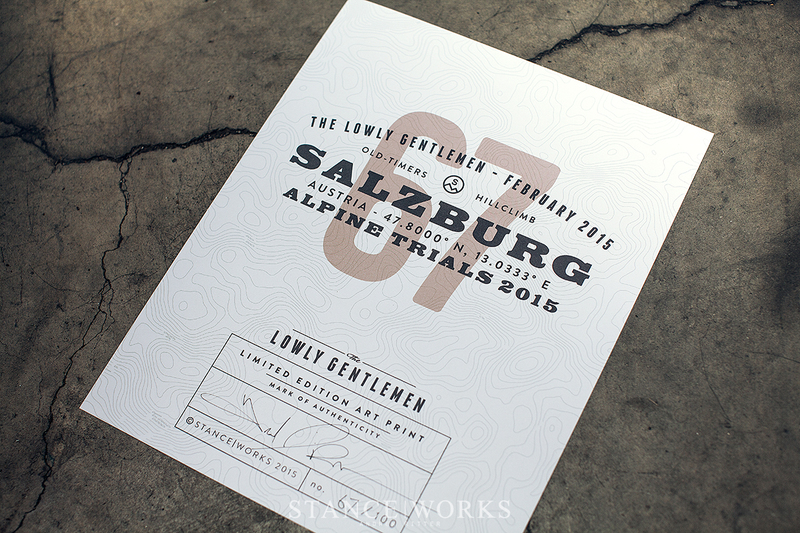 The print is a special two-sided print on extra heavy weight, quality paper and the back side features a fun topographic design to play off of the hillclimb art on the opposite side. 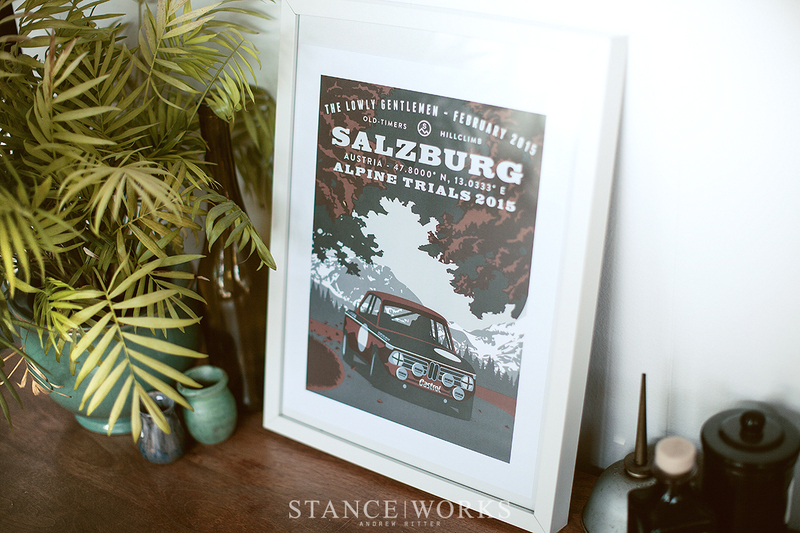 The art print features a pig-cheeked Alpina variant of the classic 02, ripping through the Alps in the Alpine Trials. At 11" x 14" , it's smaller than our usual prints but it makes for the perfect accent piece in your apartment or above your workbench. This print is limited to just 100 hand-signed and hand-numbered copies and costs just $20.02 while supplies last.